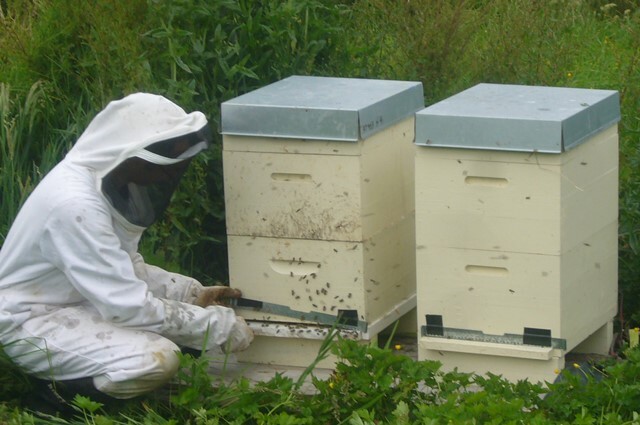 Ever since we started the restoration project, we have planned to have bee hives on the property. both to help the pollination of the trees and also to provide a safe habitat for bees. 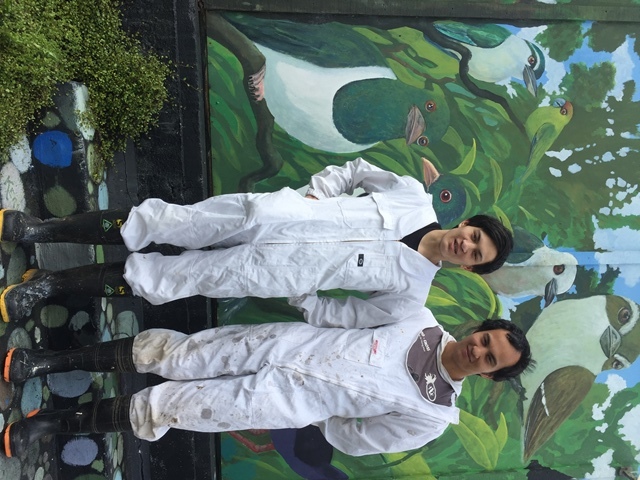 Earlier this year, Richard Stevens, an ecology student at Unitec in Auckland did a 90 hour practicum at CUE Haven. 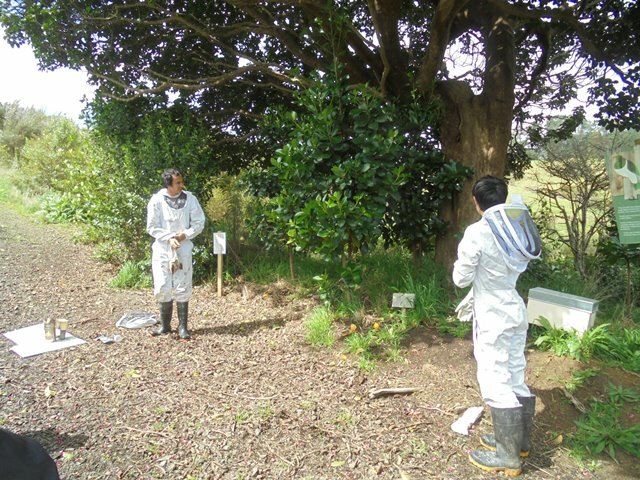 Richard has also studied apiculture (beekeeping) and we asked him to help us establish a small apiary on site in amongst the over 160,000 trees our volunteers have planted over the past eight years. Richard’s brother Mark is also a bee keeper and they both came out in early October to get the bee keeping project started. 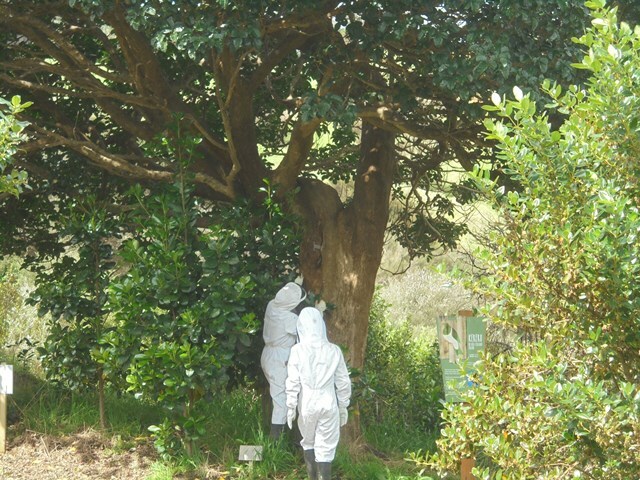 There is a wild bee hive in a big old puriri tree on the property. 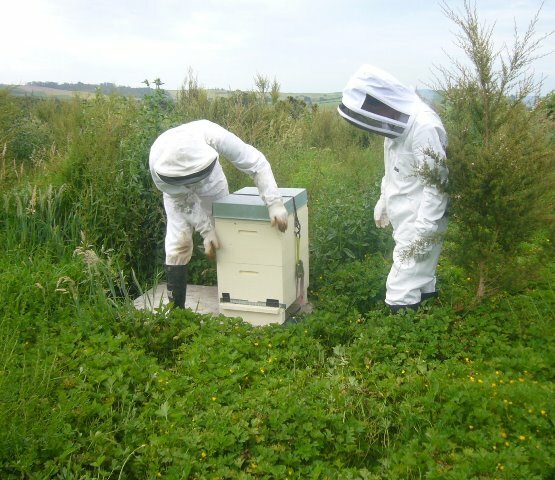 Richard and Mark’s first bee task was to install an apparatus on the wild hive to protect the bees from varroa mite. The wild bees might have become a source of the parasite for any introduced bees, so it made sense to take the precaution. 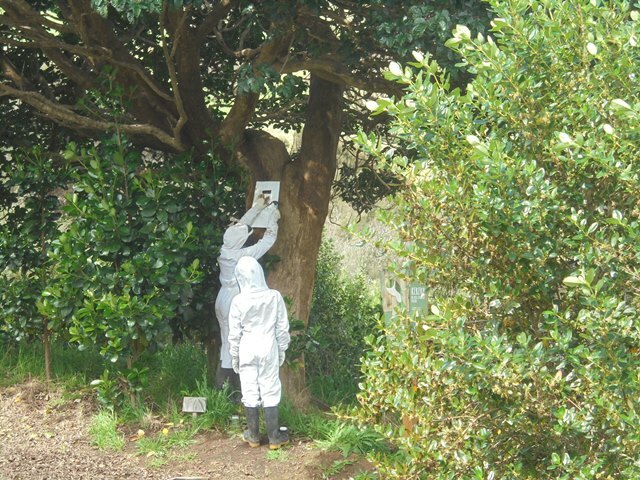 The challenge was to ensure the wild bees walk through the disinfectant as they enter or leave the hive. To do the installation they had to find the pathway the bees use and then ensure the bees would be forced to pass through the device and get disinfected. 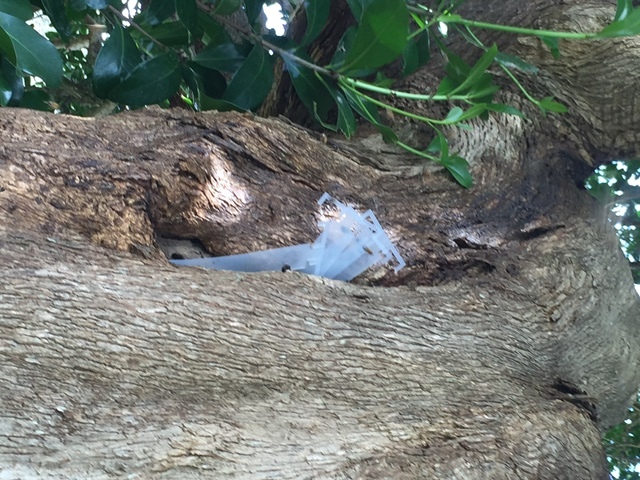 The disinfectant sheet remained on the tree for the recommended eight weeks and Richard feels confident that any possible varroa mites on the wild bees will have been eradicated by now. 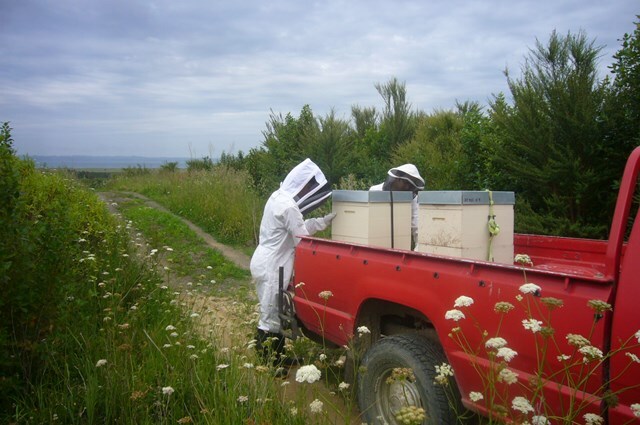 Then it was time to bring the new honey bee hives and get them established at CUE Haven. Bees can fly up to almost 4 kms looking for nectar, but the further they fly the shorter their lifespan due to wind damage and predation. 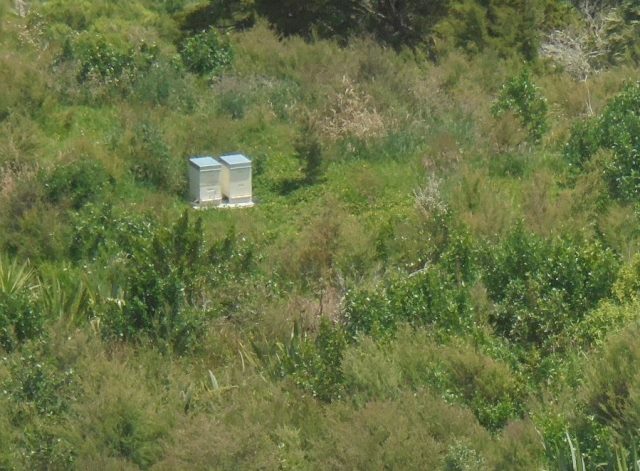 Richard had located an optimal site to place the new hives to ensure the success of the bee colony and he and Mark installed some wooden platforms so the hives wouldn’t have to sit on the ground. The site is protected from the wind, but receives plenty of sunshine and good air circulation and drainage and is reasonably close to a water source. Also the site is away from the walking tracks so the bees are unlikely to be disturbed by visitors. Honey bees are basically harmless insects when not actively defending their hive from an intruder. 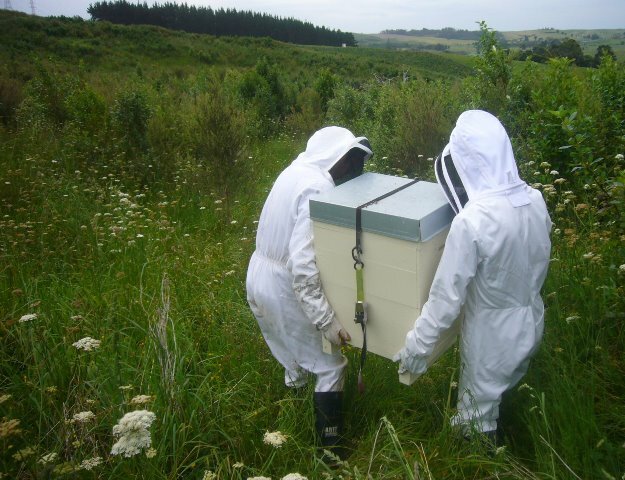 In early December, our young beekeepers came out very early in the morning to move the hives and the Carniolan bees to their new home. 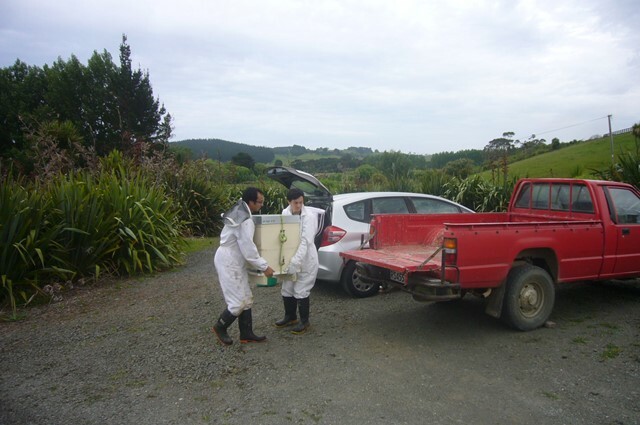 They loaded the two new hives into the ute. And we drove up to as close to the platform site as we could. They then carried the hives out and set them up. To get the bees set up and so they have a food source until they get acclimated, Richard poured sugar water onto hay in the top of the hives. 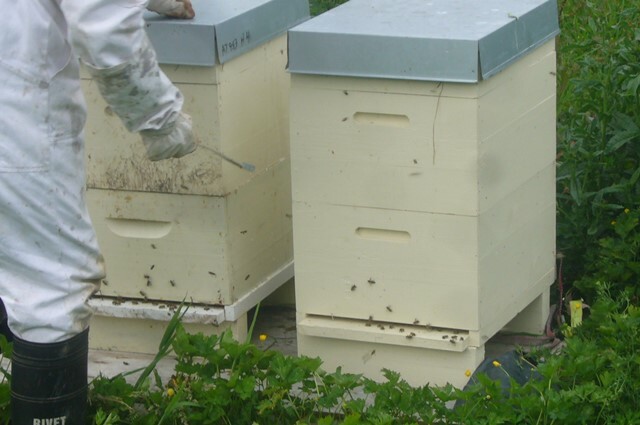 Richard had put metal strips over the hive entrances to keep the bees from escaping during transportation to the site. The last step was removing these coverings so that the bees could start to explore their new environment. Beekeeping chores change throughout the year. 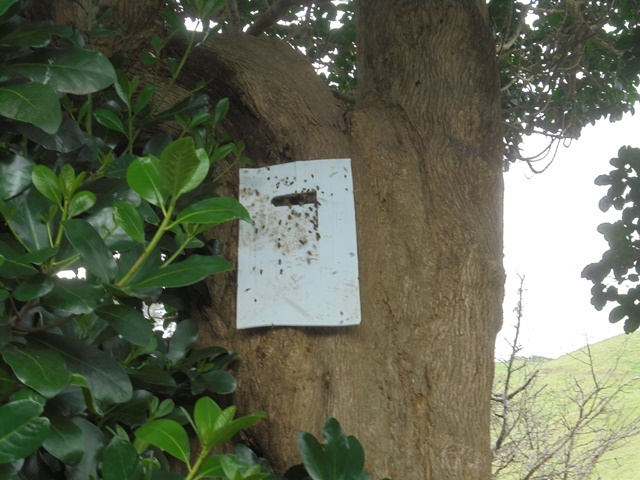 When the bees are actively foraging for nectar and pollen, the hives need to be inspected several times, especially at the start in spring to ensure they are ready for their busy season and at the end of the season in autumn when the bees are put to bed for the winter. Richard will continue to maintain the hives and conduct inspections to determine the health and productivity of the colony, and also whether the colony needs additional food stores, more nectar storage space, increased ventilation, medication, swarm control measures, a new queen and more. Our many thanks to Richard and Mark for setting up the CUE Haven apiary. 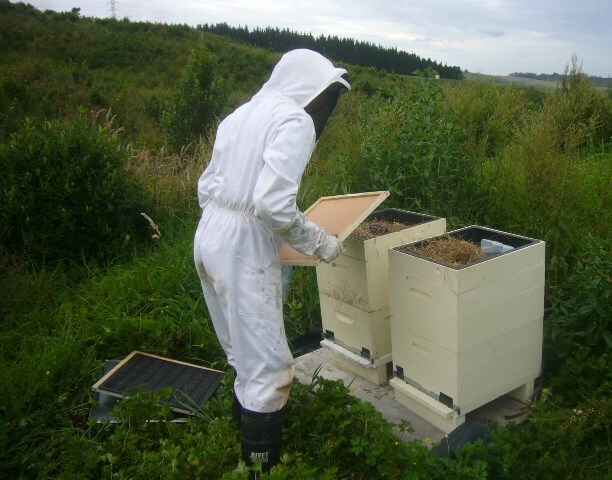 We look forward to sharing some CUE Haven honey with our volunteers and supporters when the hives become productive next year! Bee Trivia – Did You Know This? A drone is a male honey bee, produced by a queen laying an unfertilized egg, usually in a larger cell. Drones do not forage or build honey comb. They merely mate with virgin queens and die shortly after mating. They do not have stingers. Their eyes are so large they touch in the middle of their head. They have one extra antennae section than workers and it’s used to locate the virgin queen in flight. Most colonies have between 200-2,000 drones. Honey bees are vegetarians and obtain their protein from pollen and their carbohydrates from flower nectar. Workers nurture their egg-laying queen, keep the hive cleaner than our own homes, protect the colony from raiders, and fly thousands of miles to gather food. Bees communicate by emitting chemical substances called pheromones and by performing dances in specific patterns. When the worker bee returns to the hive, she hands the pollen and nectar she has collected to a younger worker to deposit in hexagonal wax cells. The bees add enzymes to the nectar, then fan this concoction with their wings to evaporate the water, and gradually it turns to thick, sweet honey. Hi, I love getting your updates on the happenings at CUE Haven, and it’s great to hear the bees have arrived.